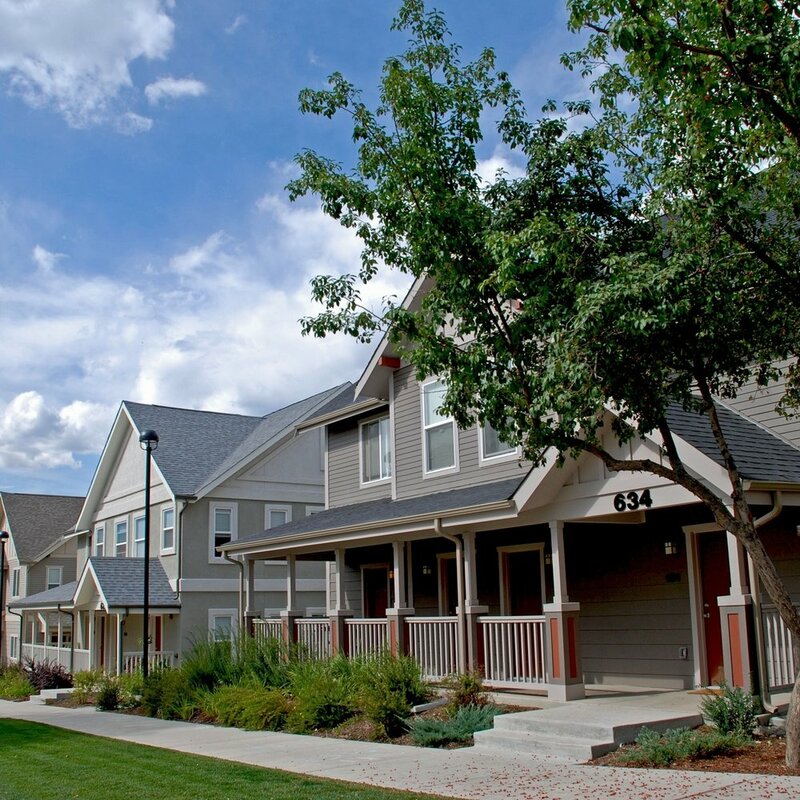 The Paradigm project was a pilot venture for innovative, sustainable, affordable housing which informed the design and construction of Josephine Commons in Lafayette, CO. The building design uses simple rectiliner forms and flat roofs along with traditional residential materials to provide an architectural transition from the industrial park to the residential housing. Large windows, balconies, and porches are placed primarily on the south elevation to allow passive solar collection while the clerestory windows and raised ceilings allow daylight to penetrate deeper into the buildings and vent hot air during summer days. Modular construction and efficient design provided lower construction costs, which allowed the owner to invest in higher performance materials and renewable energy features. Nearly NETZERO energy use found by NREL testing.